Fridays I like to post my favorite snapshots from the week. 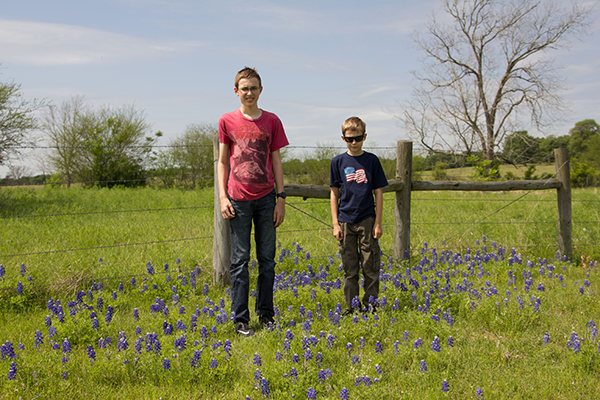 Yesterday my mom, the boys, and I went on our annual Bluebonnet drive to Washington-on-the-Brazos. 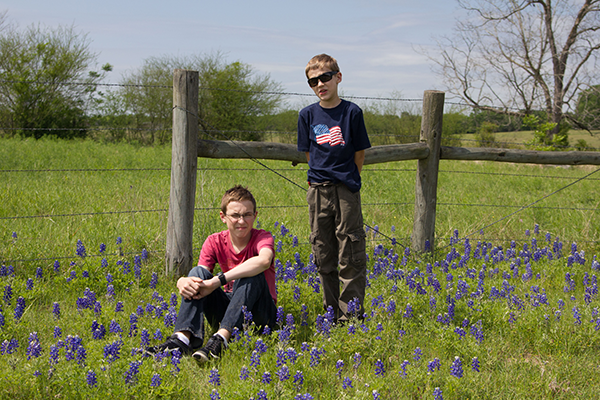 You are not an official Texan unless you make your kids sit in fire ant/snake-infested bluebonnets each spring and take a photo with them grimacing into the bright sun. 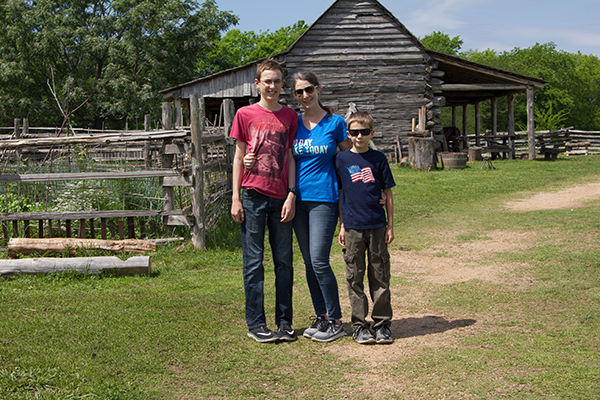 My mom took this photo of the boys and me at the Living History Museum at Barrington Farm. Duke is only 13 and he is already towering over his 5'7" tall mom. Crazy! I told Imp he needs to stay my baby for a little longer. 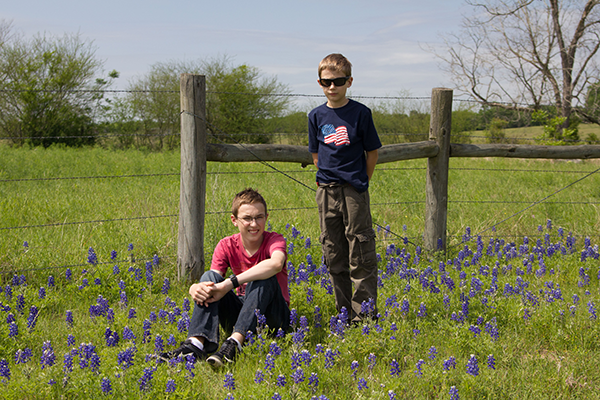 But enough of me, let's get to the traditional bluebonnet photos of my sweet and photogenic boys. Hey, this first one is pretty good kids! Let me take another 20 or 30 to make sure I have enough images to pick through later. Can you least fake a smile? Seriously, what is going on with your faces? I have to give a copy of one of these photos to your grandmothers. They don't like smart-aleck goofy photos, they want happy-grandson photos. Slap a REAL smile on your face or you won't get any snacks later. 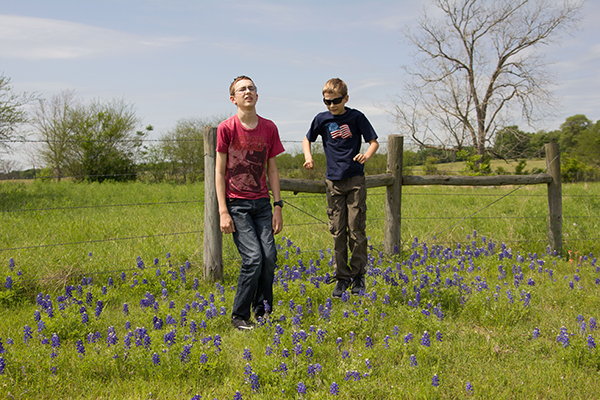 You call this a good "Jump in the Bluebonnets" photo??? Come on, next time jump TOGETHER on the count of three! Get your act together. 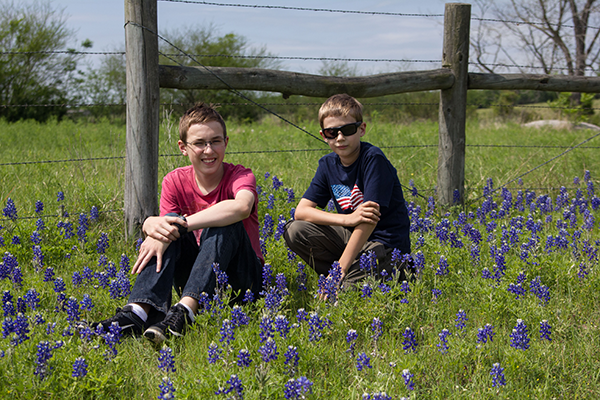 I know you are tired and hungry, but I only get once chance every year to get that perfect Instagram-Ready photo of you boys in bluebonnets. 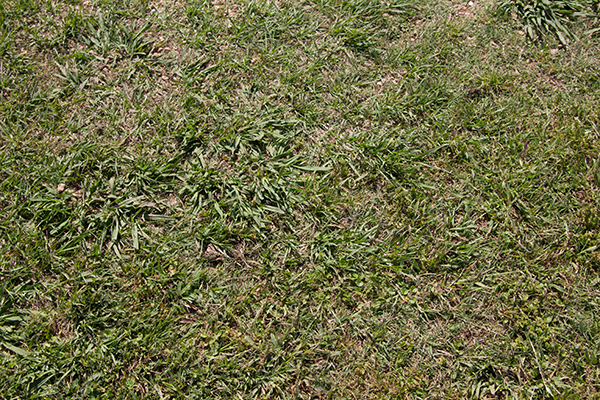 This is my job, I need photos for my blog!!! Children, you are now released. And finally, I think someone was really really eager to get their coffee and breakfast at this restaurant. No, it wasn't me, even though I do love my morning coffee. 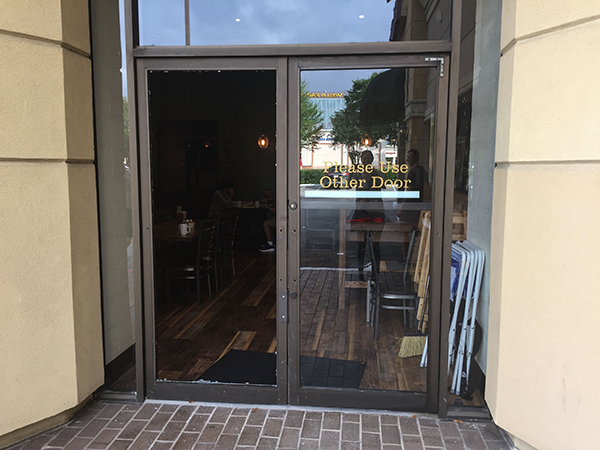 At least they followed the directions on the door. Have a great weekend everyone! New action coming out early next week. Goodness, it doesn't seem all that long ago reading about last year's trek. Goodness time flies. Hope you guys had fun! 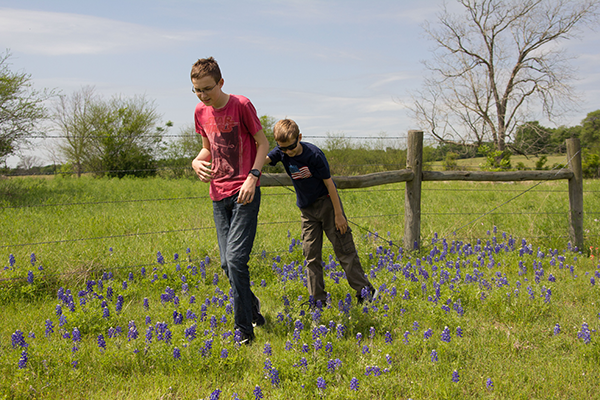 I think I posted about our last bluebonnet trip last month, right??? ;-) It is crazy, time is flying by so fast and only getting faster as I get older. That is why I am really trying to enjoy each day!! !